It’s no secret that ACDC is one of the biggest selling bands of all time, retaining an ongoing capacity to sell out arenas all over the world. 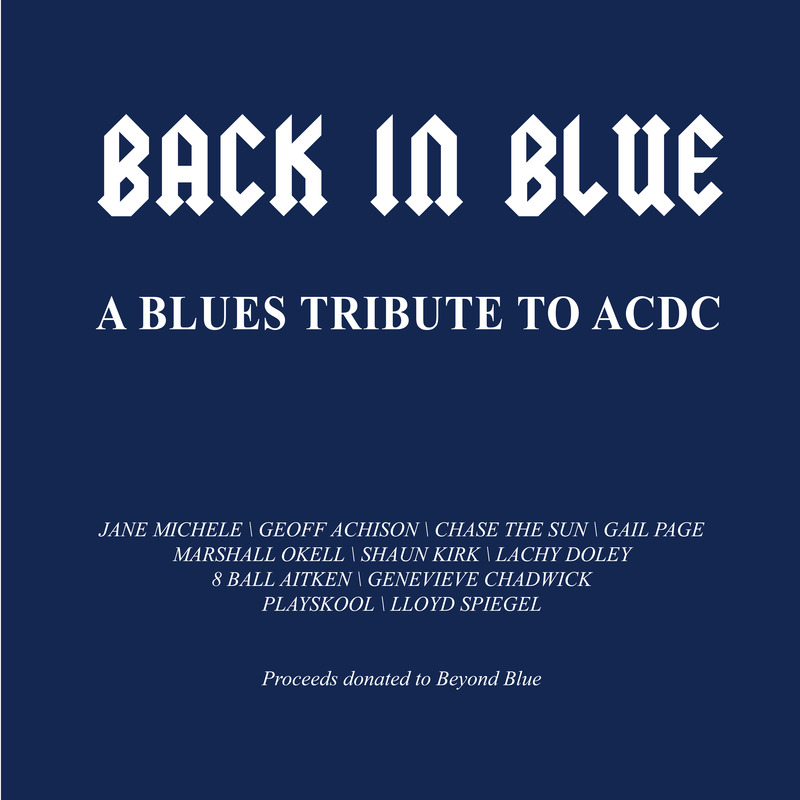 Now, a group of Aussie blues hard hitters—including Jane Michele, Lloyd Spiegel, Geoff Achison, Gail Page, Lachy Doley, Shaun Kirk, Marshall Okell and band, Chase The Sun—have come together to record a reverent and soulful compilation of ACDC covers, titled Back In Blue. Refreshingly, not only does the collection include hits such as ‘Hells Bells’, and ‘You Shook Me All Night Long’ but also some deeper cuts, like ‘Have A Drink On Me’, and ‘Given The Dog A Bone’. The album will be released to fans with all profits donated to one of the most recognisable avenues of help for depression sufferers and their families, the Beyond Blue Charity. As the title suggests, the overall sound of the album embraces the blues side of ACDC’s sound. Tasty slide guitars slice through the wall of sound, while the acoustic guitars allow the music to bounce in a way the distortion of an electric can’t; ear-warming organs are also thrown into the mix and satisfyingly haunt up the proceedings. A conversely lighter touch is employed on the distorted power chords that ordinarily define ACDC—they’re still there but are resigned more to the background. 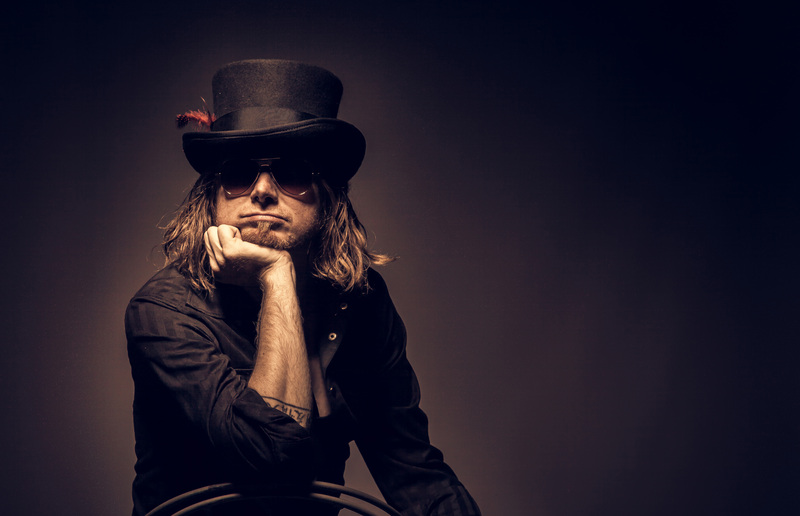 While every track is a lot of fun to listen to, the highlights include Chase The Sun’s singin’ and swingin’ rendition of ‘Shoot To Thrill’ and Playskool’s tastefully slow version of ‘Shake A Leg’. The opening track ‘Hells Bells’ is also memorable: which starts with audio clips from radio programs reporting the tragic death of Bon Scott, before moving on to showcase some incredible vocals from Jane Michele. In creating the album, all involved seemed to realise that nobody can do ACDC like ACDC. As such, the direction taken makes this unique tribute a very welcome release. This is the part where ordinarily it is said that if one is a fan of ACDC, then they’ll like this album. However, leaving it at that would be of a disservice to this truly delightful listen. Get your blues on, be reminded of what great songwriters the Young brothers are, and enjoy a different take on some of pub rock’s classics. Find out more about Back In Blue and Beyond Blue’s services here. Back In Blue is available at all good music retailers through Only Blues Music.